Official Viwawa Blog: Viwawa @ Sarawak! 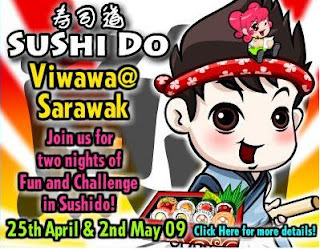 Join us for 2 nights of fun as Viwawa will be in Sarawak on 25th April 2009 & 2nd May 2009! Stand to win fabulous prizes by competing with fellow Viwawa players in a Sushido Tournament!